From the main scanning screen, tap the gear icon in the top right to access Scanner Settings. This menu allows you to quickly adjust basic settings on the fly. ​Checkout Mode. Turned off by default, this setting will make the device check tickets OUT rather than IN. Flashlight. (Supported iOS devices only.) Turned off by default. 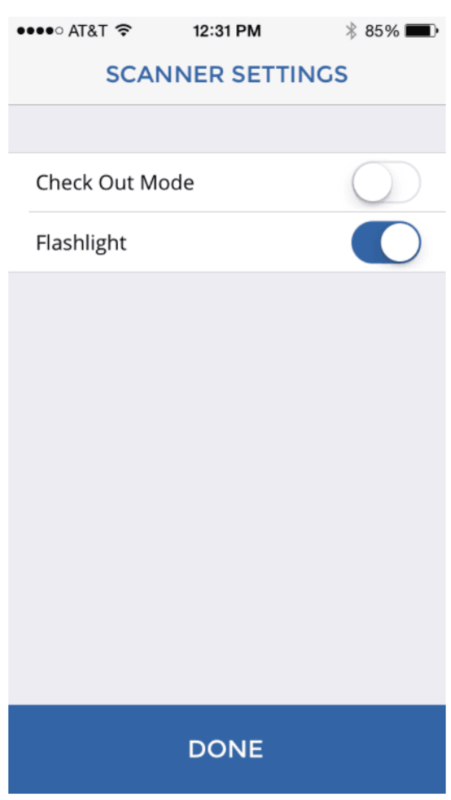 This setting will activate the flashlight, which can assist the camera scanner in low-light settings. ​Camera Mode. (iOS with Linea only.) Only available when a Linea Pro is attached. This setting will force the scanner to use the camera instead of the Linea Pro attachment.